Matt Ryan put the Falcons up 24 on the Packers and nobody thought the game was over. Why? Because the Packers had the best quarterback in the sport not named Brady. 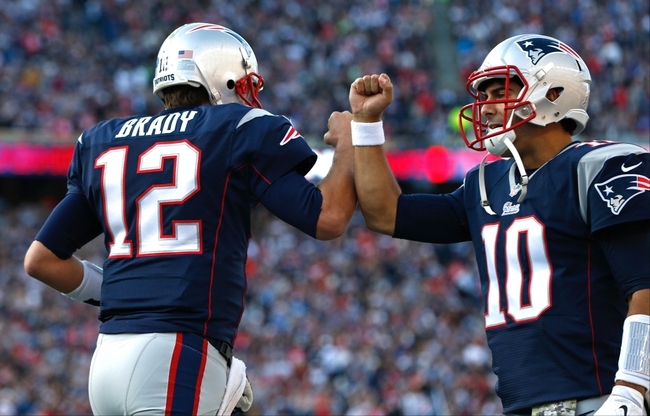 The AFC Championship game was played by two quarterbacks with 6 Super Bowl rings and 9 Super Bowl appearances – more appearances in the Terrific Title than every other quarterback in the league combined. Let me make something clear, Bears fans. “With the third pick in the 2017 NFL Draft, the Chicago Bears select Johnathan Allen, defensive end, Alabama” is not going to put the 2017 edition of the Bears into the postseason. The Jets have two of the best defensive ends in the game. Aaron Donald is a game-changing defensive lineman. Geno Atkins. Gerald McCoy. Ndamukong Suh. You know what those teams are all doing on Thursday April 27th? Picking shortly after the Bears. Sturdy defensive linemen are nice and all but they don’t move the needle. Pass rushers do. Playmakers on offense do. And, most importantly, quarterbacks do. Before free agency, quarterbacks didn’t have to be great to win titles. They could be Jim McMahon or Mark Rypien or Doug Williams or Jeff Hostetler because the money was there to build a great team AROUND the position. Those days are a distant memory. But Peyton Manning, Tom Brady and Aaron Rodgers have distorted the “franchise quarterback” conversation in the other direction because over the course of their careers, their divisions NEVER FEATURED ANOTHER GREAT QUARTERBACK. (Detroit’s Matthew Stafford is better than anything Brady and Manning ever consistently faced in the AFC East and South.) That’s why they are in the playoffs every year, with two of the three having limited success in the tournament. The other franchise-type guys: Eli, Flacco, Brees, Ryan, Rivers…etc. guarantee their teams nothing due to one primary factor: competition. Audibles From the Long Snapper: Around the League We Go! (1) Giants have lost 3 games this season (Cowboys, Falcons, Jets) due to egregious mismanagement. I love Tom Coughlin but barring a substantial run over the next two months he can’t be their head coach in 2016. (2) Spend a few minutes and read some of the love poems the national writers wrote about Dan Quinn in September. Atlanta has fallen off a cliff. Peter King was the leader of the QuinnLove Movement. (3) Carolina should put Charles Tillman on the shelf until the postseason. Let him get healthy. 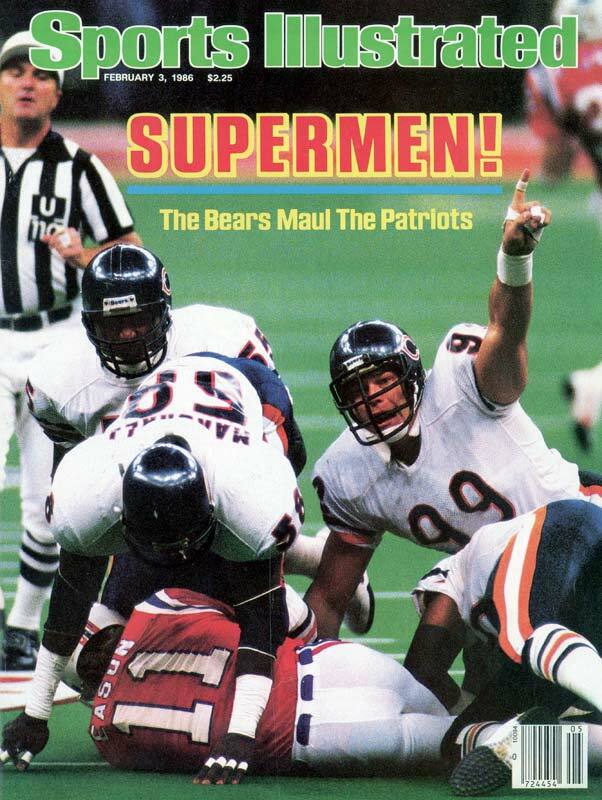 And then let me root harder for a non-Bears team than I ever have before. (4) Atlanta was the first paper tiger to fall. The second? Minnesota. That team has feasted on poor opponents. They may still make the playoffs but they might be the 10th best team in the conference when they do. Cleveland. Too much change can be a bad thing but I have no idea what Mike Pettine brings to an organization. New York Giants. Have a press conference. Put Tom Coughlin in the ring of honor. And then get thirty years younger at the head coaching spot. New Orleans. It’s over. Move on. San Diego. And don’t be surprised if John Fox brings Mike McCoy to take over the Bears offense should Adam Gase find a head coaching gig. Detroit. I’m not sure why Jim Cadwell is still the coach. Once he admitted to not playing for the Hail Mary, I wouldn’t have let him back into his office. St. Louis. I’ve been a fan of Jeff Fisher for a long time but that team is far too talented to get blown out each and every week. Fisher doesn’t have it anymore. 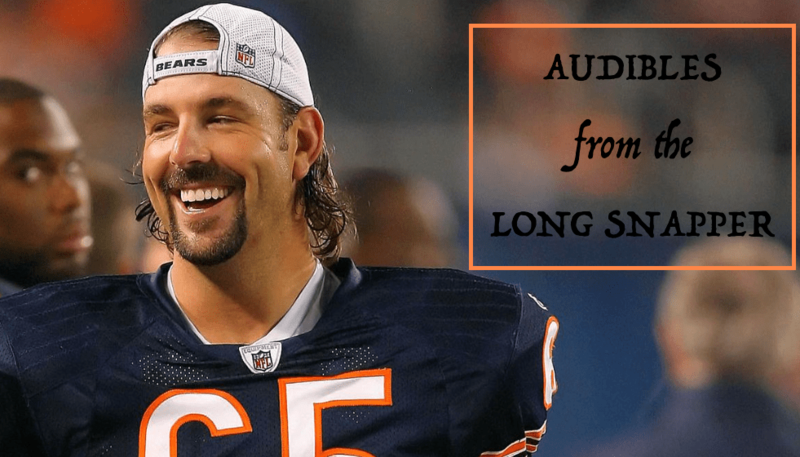 Audibles From the Long Snapper: Around the League, Three Bears Thoughts, Boomer on Catches, Cutler Update! Around the League We Go! Through nine games, Jeremy Langford has only 100 yards less from scrimmage than Melvin Gordon. Tom Brady is full of magic. That’s the only way I can explain it. Everything We Learned About the NFL This Season. Look at the fates of the NFC’s best teams in the month of January. Green Bay loses to Seattle with a ludicrous late-game collapse featuring a tight end dropping an onside kick that hit both of his hands and his face. In all four of these games a serious argument can be made for the losing team deserving victory. That’s how close the league has become at the top. Audibles From the Long Snapper: Making Scoreons Happen, Prestigious Jobs, Marshall & More! Many like to use the phrase “meatball” to describe a certain kind of fan. In Chicago I am going to refer to those people as “Score-ons”. It is on all of us to make this phrase happen. In announcing the massive housecleaning Monday at Halas Hall, President Ted Phillips called the Bears’ head coaching job prestigious. He stands nearly alone in that opinion in light of a Tribune poll of NFL front-office employees and coaches who ranked the Bears barely above the Raiders in terms of attractiveness. Quarterback concerns left the Jets at the bottom, but the Bears job wasn’t considered much better even with Jay Cutler, the passer in whom they have invested so much money and whom Chairman George McCaskey said he is a fan of personally and professionally. Elsewhere, Cutler is classified as a coach killer. The Bears landed an in-demand (young) GM, a head coach who has been to two Super Bowls, the best defensive coach on the market and an offensive coordinator who interviewed for just about every head coaching vacancy. Rumors have it that if the Bears job were prestigious, Vince Lombardi would have climbed out of his grave and agreed to a five-year, $35 million contract. Jay Cutler will have a bounceback game. Here’s a rather remarkable stat for Jay Cutler. In his season and a half under Marc Trestman, anytime his passer rating in a game has dipped below 90 he has a rebounded well. Week 4 of 2013 he delivered a 65.5 against Detroit and followed with 128.1 against New Orleans. Week 9 he dropped a 69.8 against Detroit. After injury he returned with a 102.2 against Cleveland. Week 15 he joined the Bears humiliation and scored 73.8 on the passer test against the Eagles. He finished the season with a 103.8 against Green Bay. Cutler opened 2014 with an 86.2 against Buffalo and followed with a 119.2 against San Francisco. He followed his 82.5 against Green Bay this year with a 95.5 against Carolina – the first time under Trestman the sub-90 was not met by a plus-100. Matt Forte will have more carries than he’s had all season. The Patriots went through the Chicago defense on drives of 85 and 87 yards, lasting 12 and 11 plays against a unit that had allowed drives of double-digit plays only five times in the last five games. Less than five minutes into the second quarter the Bears were in a 14-0 hole. In fairness I only watched the first half. That was plenty for me. 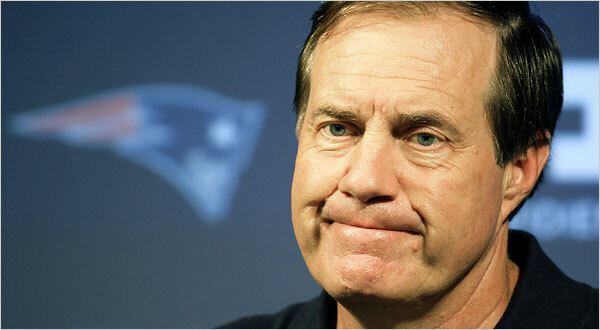 Now that same quarterback, that same coach, stand between the Bears and the possibility of a successful 2014 campaign. A win Sunday at Foxboro would send the Bears into their bye at 4-4, a respectable mark and a record to build upon over the second half of the season. A loss would compound early inconsistency and leave the Bears to answer a relentless stream of questions over the next two weeks. The most frequently asked question: how did this happen?